Heather grey shirt with black stripe open hole mesh, 100 % polyester, machine wash cold with like colors, dry low, cool iron if needed. 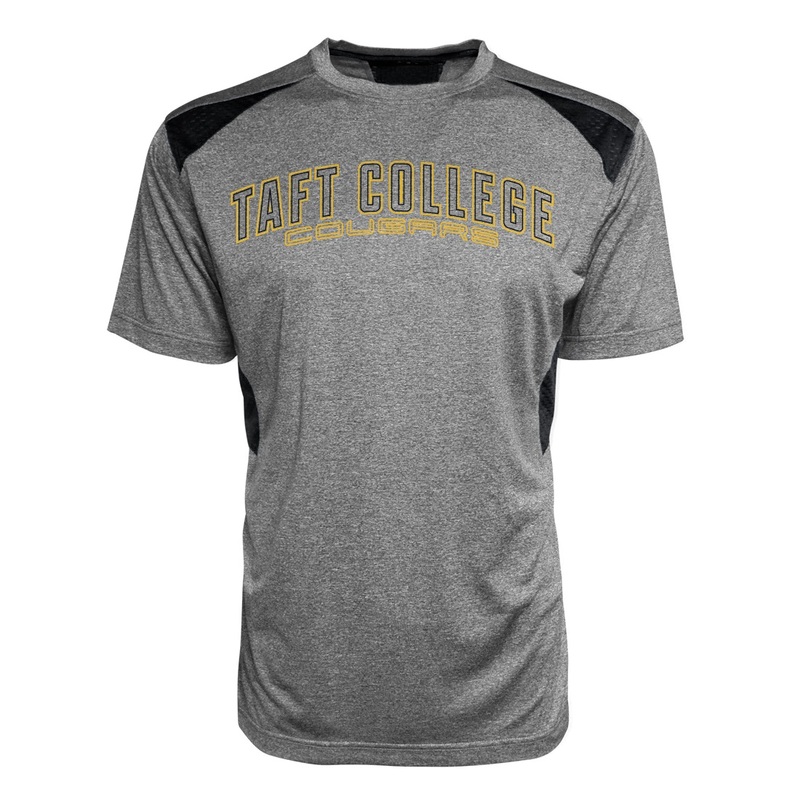 Please select option for Taft College Jersey Tee. 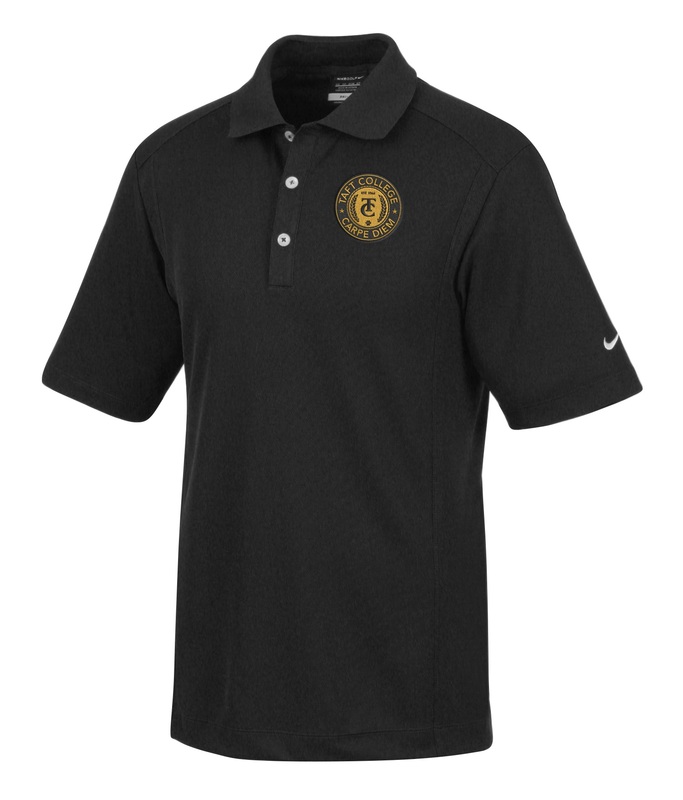 Nike golf shirt design with embroidered Taft College Seal. Shirt available in black, machine wash cold, inside out with like colors, tumble dry low. Please select option for Nike Golf DRI-FIT Men's Shirt. Quarter zip vest with TC logo available in black heather, with UPF 50+ sun protection, 91% polyester and 9% Spandex, machine wash cold on delicate, hang dry only and cool iron if needed. Please select option for Adidas Men’s Club Vest. 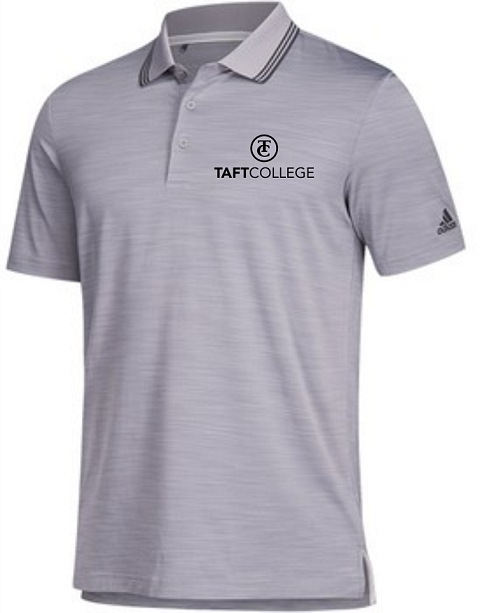 Support Taft College Athletics with a grey Adidas textured stripe polo. 88% polyester and 12% Elastane, with UPF 50+ for sun protection, flat knit collar, mélange pattern on body, 3 color striped pattern collar. Please select option for Adidas Men’s Taft College Ultimate Polo. Power tough short, 100% polyester with posi-charged wicking with side pockets. Shorts are available in black and silver. Machine wash cold, no fabric softener, tumble dry low , and cool iron if necessary. 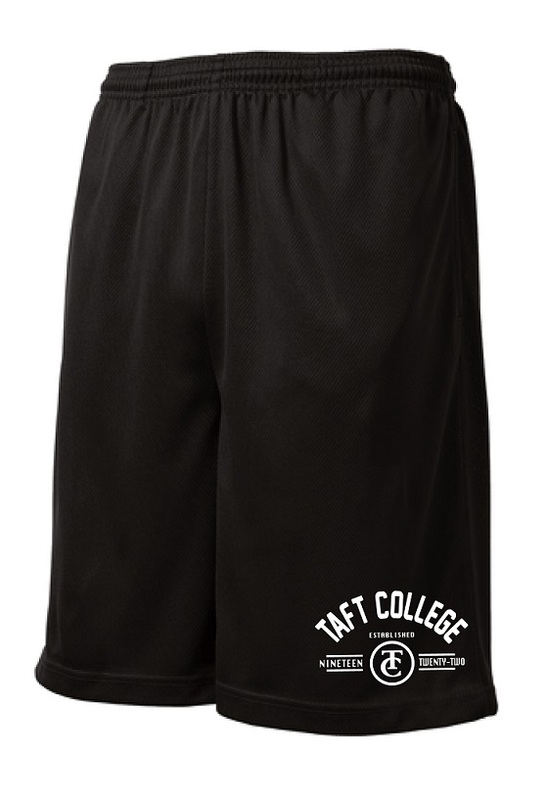 Please select option for Taft College Shorts. Taft College polo with gold side blocking, micro pique sport-wick fabric by Sport-Tek. 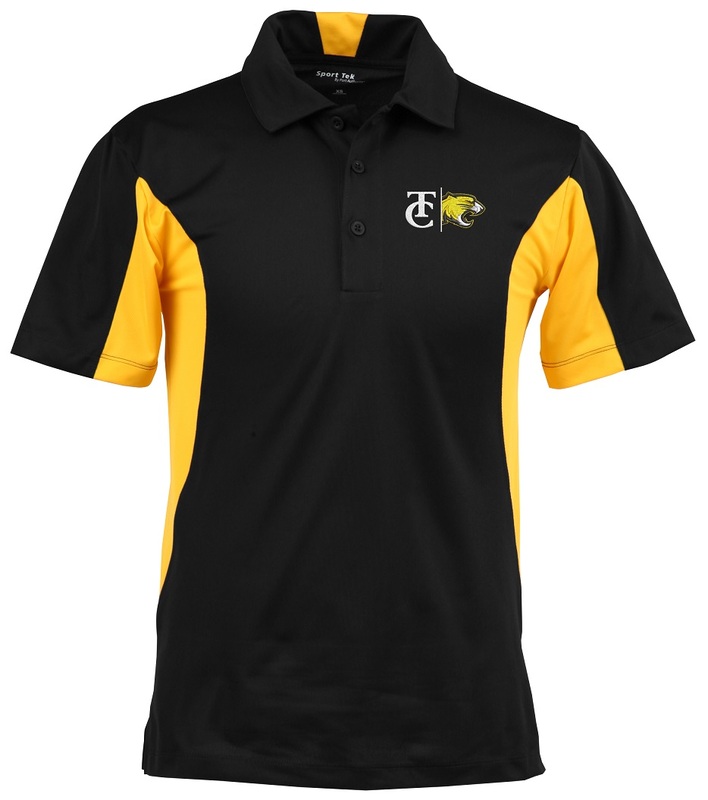 Please select option for TC Men’s Black and Gold Polo.